ontarget is Archery GB's club development programme. The programme first launched in 2010 and aims to equip grassroots level archery with the structure, vision and support it needs to help the sport and its participants flourish and grow. We are seeking to recognise and reward those clubs and individuals that have gone beyond the acknowledged responsibilities of a community sports club to promote and grow archery in their communities. So….what are you waiting for, enter your nominations today – it is so easy! To nominate email ontarget@archerygb.org stating who your nominating, which category you are entering them and a few words to describe why they deserve the award – photos and videos are welcomed as part of your nomination. The deadline is 28 February 2019. Nominate now! 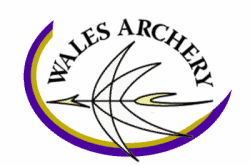 For further information please contact Arran Coggan via email arran.coggan@archerygb.org or call 07525233592.